S P Homes in Kolathur, Chennai North by SP Shelters Builders is a residential project. The size of the Apartment ranges in between 834.0 sq.ft. 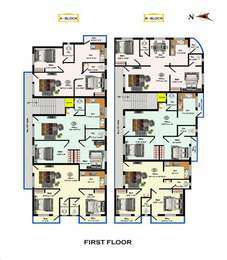 and 961.0 sq.ft. S P Homes offers facilities such as Lift. It is a ready to move project with possession offered in Dec, 2013. Chennai is primarily an end-user driven real estate market. The factors that affect the decision of a buyer are connectivity, proximity to IT/ITES companies, the civic infrastructure and presence of amenities in a project. The new developments in the city continue to attract buyers as they can witness a potential in the market. The residential real estate of the market expects to witness an upward graph due to a number of reasons. Where is S P Homes located? The project is located in Kolathur, Chennai North. What is the area of apartments in S P Homes? The area of apartments offered in the project ranges from 834.0 sqft to 961.0 sqft. 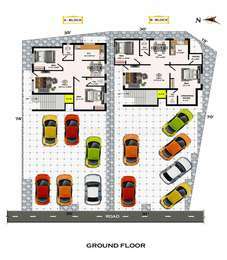 What is total area of 2 bhk in S P Homes? The area of 2BHK units in the project varies from 834.0 sqft to 961.0 sqft. Does S P Homes have lawn tennis? The project doesn't have lawn tennis. Is there a club house in S P Homes? The project doesn't have a Club House. I am thinking to invest in SP Homes , Chennai project can anyone tell what the current ongoing price trend in that area ? Pls update me ?